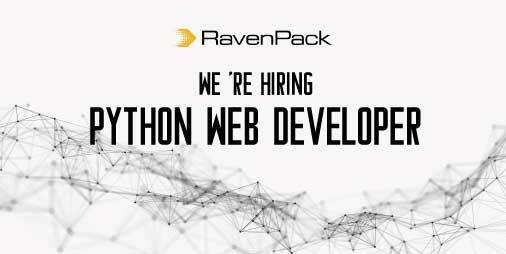 In RavenPack we are searching for a Python Web Developer to join RavenPack’s Development Team. As a Python Web Developer you will work within your team to bring to life the knowledge extracted from hundreds of thousands of documents each day, all in real time. You will be reporting directly to the Web Development Manager and will interact with an international team of developers skilled in Web technologies, plus Python, Java, Common Lisp, and SQL. As a Python Web Developer, you will take a large amount of data and make it usable for non-data professional individuals. The main purpose of this team is to provide tools and interfaces that are going to be used by clients and internal users, while automating and facilitating all the development processes. For that reason, this team has to react quickly to the product requirements. Designing and implementing compelling and maintainable medium/big web applications. Automating processes to facilitate their development. Creating new features according to the clients’ requirements. Degree in Computer Science, Engineering or related subject. +2 years of professional experience working with Python to develop web. +2 years of professional experience with a Python-based framework, such as Django or Flask. +2 years of professional experience working in real-time applications. Professional experience working with Apache, Nginx or some large production deployment. Experience with various Amazon Web Services (AWS), such as Redshift, Kinesis, DynamoDB and ECS.